Fresh, Extra Virgin Olive Oil is highly fragrant with explosive flavour, if you can’t smell the ‘fresh fragrant’ aroma when you open a bottle of Extra Virgin Olive Oil you can be sure the oil is past its ‘best before’ date. With time Extra Virgin Olive Oil mellows and is often at its best, flavour wise, a year after harvest. After two years it will begin to deteriorate in both flavour and aroma depending on how it is stored, beyond three years most of the health benefits will no longer be significant. Ideally, store your oil in a cool, dark environment and use within a couple of years. 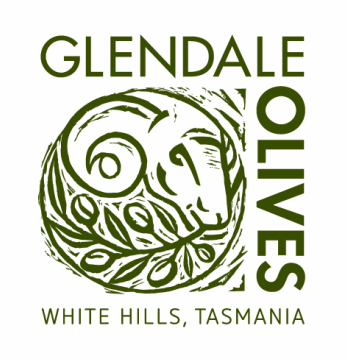 Glendale Olive Oil is packaged in dark glass bottles and filtered through a one micron filter sock, ensuring the freshness of your oil for an extended period of time. Think of Extra Virgin Olive Oil as you would wine and pair it with the type of dish you are preparing. Use mild oil for salad dressings or as a condiment over mild food, such as mozzarella cheese and use a robust oil to drizzle over fresh tomatoes or a hearty pasta dish. Extra Virgin Olive Oil, as with wine, is a very individual taste; some people like it hot and peppery and others prefer the delicate mild, buttery flavours. By offering 6 different Individual varieties of Extra Virgin Olive Oil our aim at Glendale is to provide our customers with a choice. Individual Extra Virgin Olive Oils can be blended together to tailor make an oil best suited to an individual’s taste or each single variety can be used for specific cooking and food preparation purposes. Most Extra Virgin Olive Oil is bought as a mixed blend, as such, if fresh, it will be complex flavoured oil and not necessarily the best choice for all your cooking needs. 1. Hold tasting glass/cup in one hand, cover the top with the other and gently swirl the oil around to release the aroma. 2. Uncover the cup and inhale the oil deeply. Consider what you can smell; unripe banana, fresh cut grass, fruitiness, forest etc... Whatever the aroma it should smell FRESH. 3. Next slurp the oil; this is done by sipping a small amount of oil into your mouth while sipping some air as well (you will make an unpleasant slurping sound if done correctly). 4. Finally, Swallow the oil and notice the sensation in your mouth and throat (smooth, buttery, pepper, bitterness). What sensations did you enjoy the most? This will determine the type of oil you prefer. Each of the above actions focuses your attention on a specific positive attribute in the oil. First evaluate the aroma by inhaling from the glass, and then when the oil is in your mouth, further evaluate the aroma retro-nasally as well as determine the amount of bitterness on your tongue. Lastly determine the intensity of the oil’s pungency in your throat as you swallow it.